* SODIAL is a registered trademark.ONLY Authorized seller of SODIAL can sell under SODIAL listings.Our products will enhance your experience to unparalleled inspiration. Note:Light shooting and differnent displays may cause the color of the item in the picture a little different from the real thing.The measurement allowed error is +/- 1-3 cm. The unique fan blade design allows you to pull or push air with the same velocity. 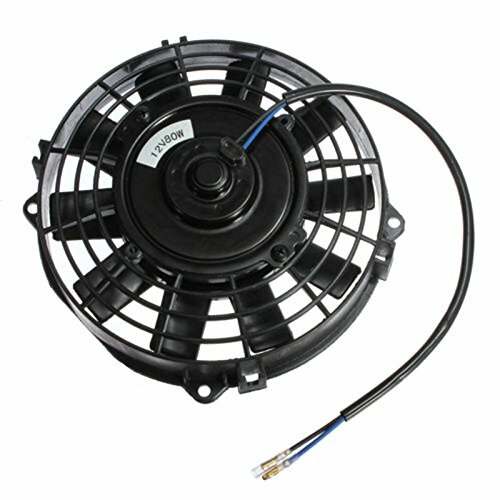 The motor is easily reversible for any application. Most other fans are designed for one-way air flow. Our fans have ten points for the mounting feet giving you flexible installation options. These truly are slim fans.They measure only 2.5" at the deepest point,making them ideal for cramped areas.